Remote Eyes Performance Servers are highly regarded in the industry as the leading platform for providing commercial quality local and remote video surveillance and management solutions. Based on Windows XP Pro with a secure Desktop, Remote Eyes is an easy to learn and easy to use System which offers users the best performance, video storage and retrieval, and remote transmissions of any product in its class. The Admin Client gives you the capability to change the configuration of your server from a remote location. 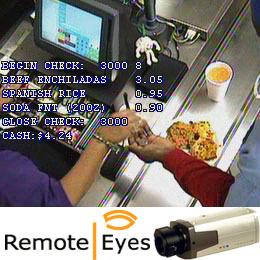 Every Remote Eyes Server is pre-configured to be a WebCam Server.